Wedding dress has a special place in every woman’s life. From a very young age, every girl dreams of a unique wedding dress that she is going to wear on her wedding day. There are lots of variations in wedding dresses depending upon the wedding location, the weather of the location and the choice of fabric to the style of the dress. 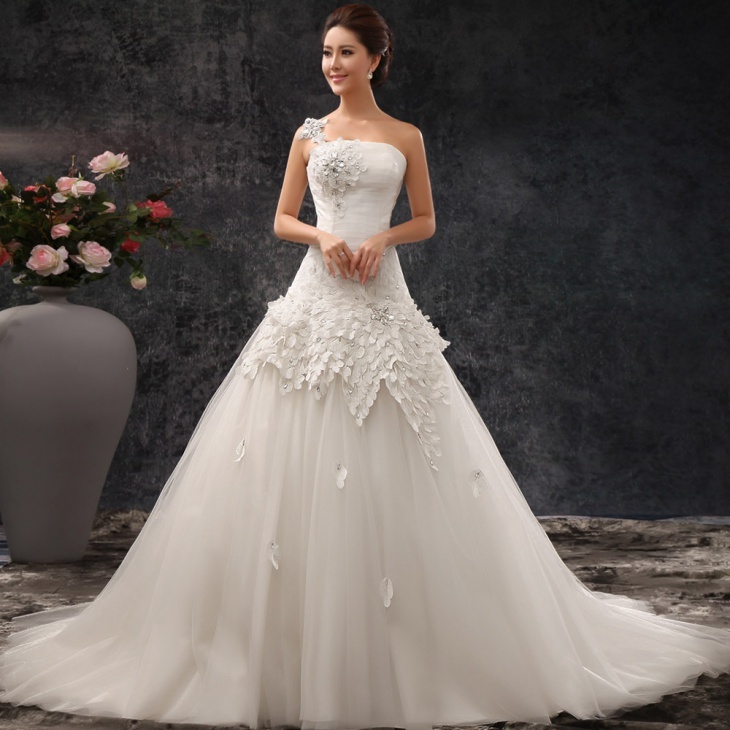 The season of the wedding whether it is spring, winter or summer also influences the design of the wedding dress. Some women like a very simple and short wedding dress whereas some other women like it floor-length with train. There are the variety of wedding dresses available in various colors, sizes, shapes and fabrics to choose from. Beach wedding dresses are simple wedding dresses which flow with the breeze of the ocean. The beach wedding dresses are designed to short or long based on the choice of the bride. The materials such as cotton, chiffon, satin etc. are used to design the beach wedding dresses which are comfortable for the sultry and windy weather. Vintage wedding dresses have a unique look and definitely have their own charm on the bride. The vintage wedding dresses are made from brocade, lace fabric, chiffon, organza, cotton etc. 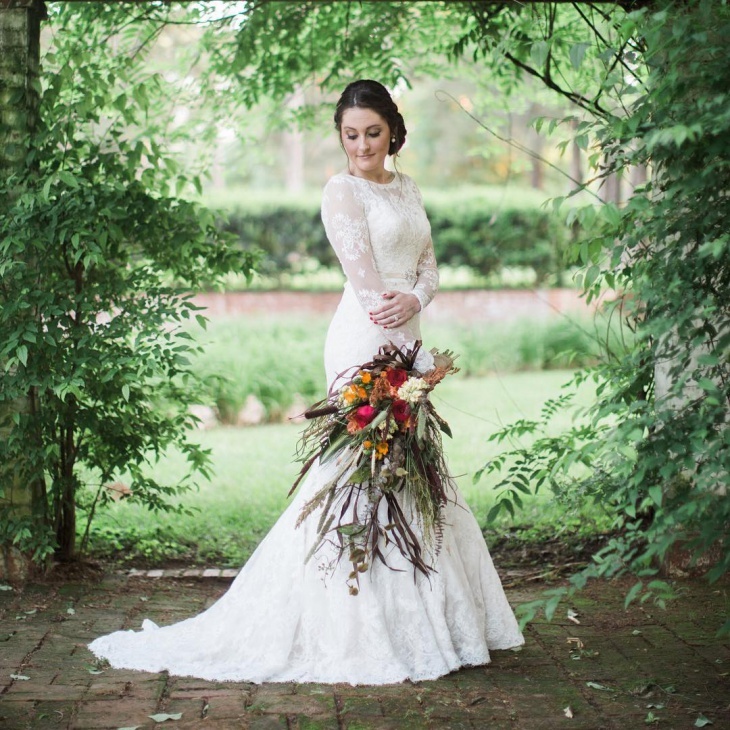 There are lots of colors and designs in vintage wedding dresses from the short dress made from brocade with an attached coat to a peach lace long wedding dress with a bow on the waist line. Especially the champagne silk wedding dresses in champagne color are amazing. Short wedding dresses have a modern and glamorous look. They are knee length and are designed with the variety of fabrics such as organza, satin, chiffon, cotton etc. 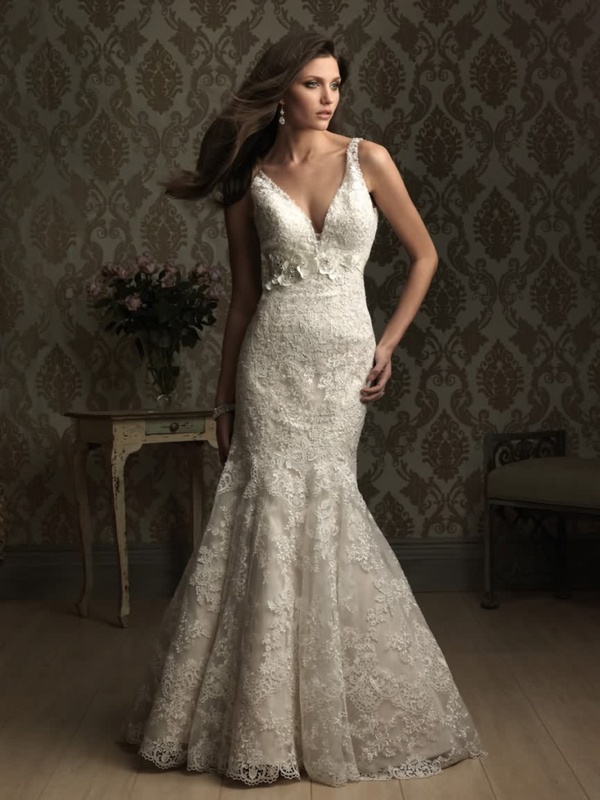 The necklines such as sweetheart, strapless and long v-necklines go well with the short wedding dresses to give them a cute and romantic look. 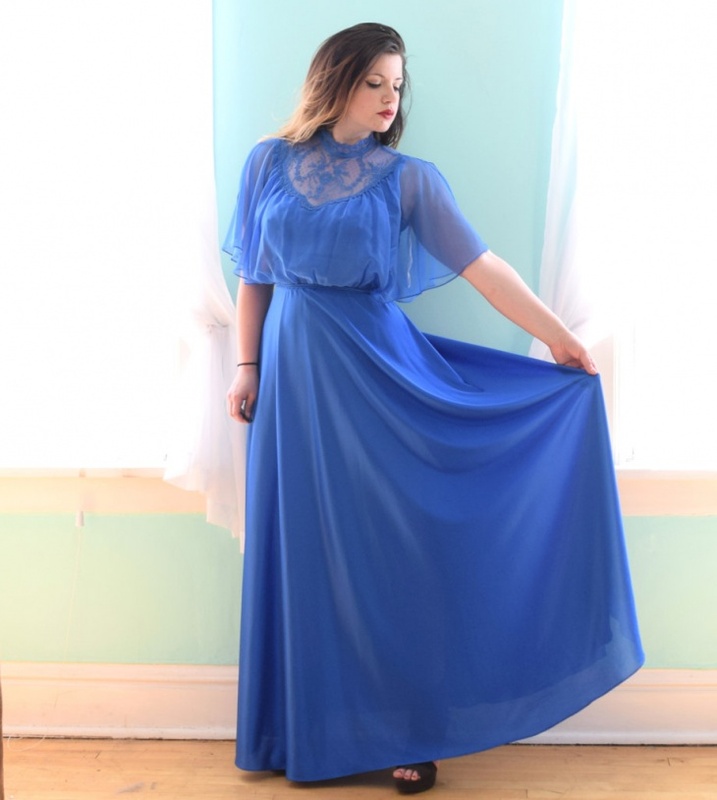 Wedding guest dresses are important of the wedding ritual. They should be designed in such a way that they are not loud or designed with florals. Elegant colors such as peach, baby pink, gray are chosen and the fabrics such as lace, chiffon are chosen to design the wedding guest dresses. The specialty of these dresses is they should complement the bride’s dress but not overshadow it. Lace wedding dresses have a special and delicate look to them. The intricate designs of the lace fabric make the wedding dress a glamorous and romantic one. These wedding dresses are designed in long and short lengths in a variety of necklines from plunging to strapless. Ladies! 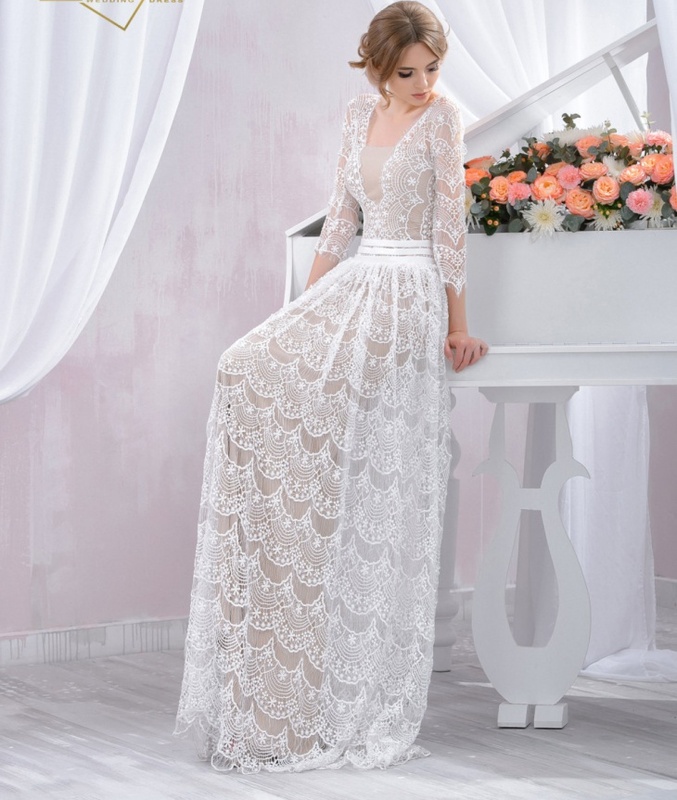 If you are planning for a romantic wedding dress, Lace weddings dresses are a perfect choice. Wedding dresses are normally custom designed based to match the customer’s requirements. 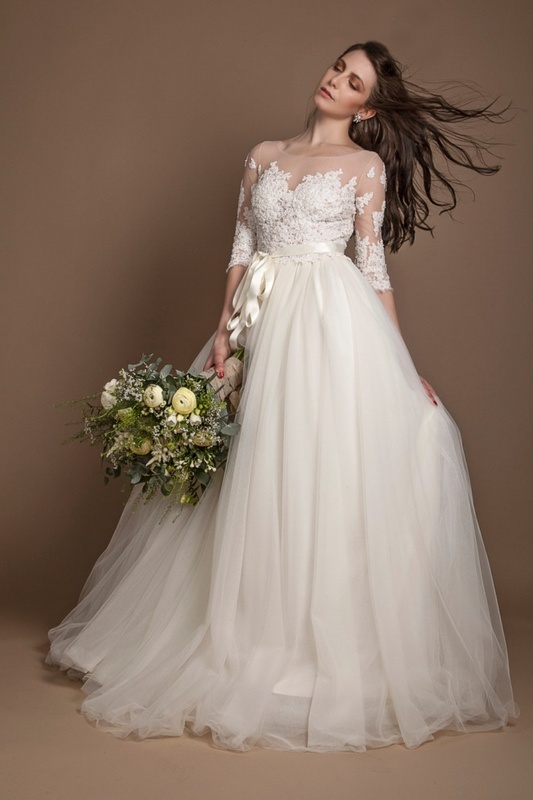 The long sleeve wedding dresses have a unique and conservative style which is liked by many women. The Kate Middleton had chosen a long sleeve wedding dress which made her look stunning in her wedding. The camo wedding dresses are trending wedding dresses which are designed with camouflage fabric such as a brown or dark green with lots of design on it. 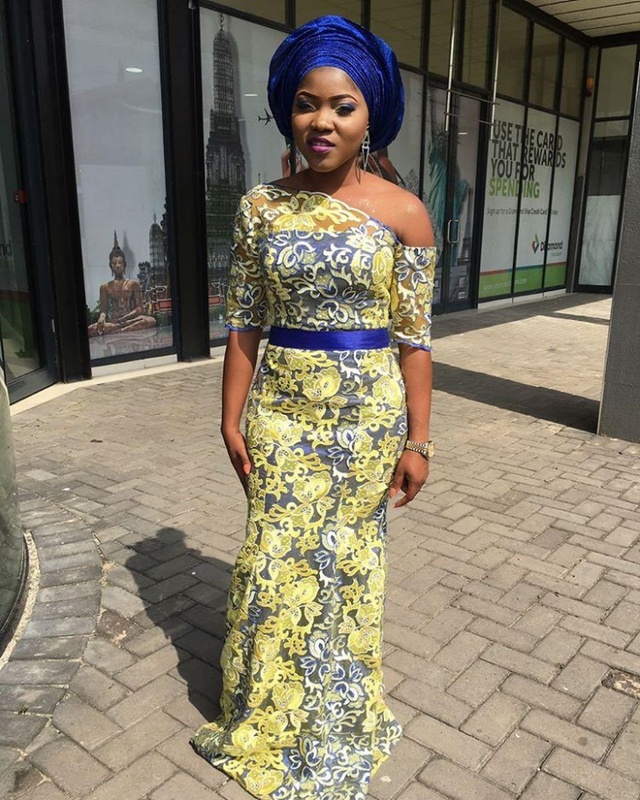 The dress is made up of the camouflage fabric or a combination of white and camouflage fabric is used to design a wedding dress. Pinks are also used in combination with camouflage which is popular now. The yoke of the strapless is designed with camouflage fabric and white for the skirt. The hemline can be designed with the camouflage fabric again to finish off the look. 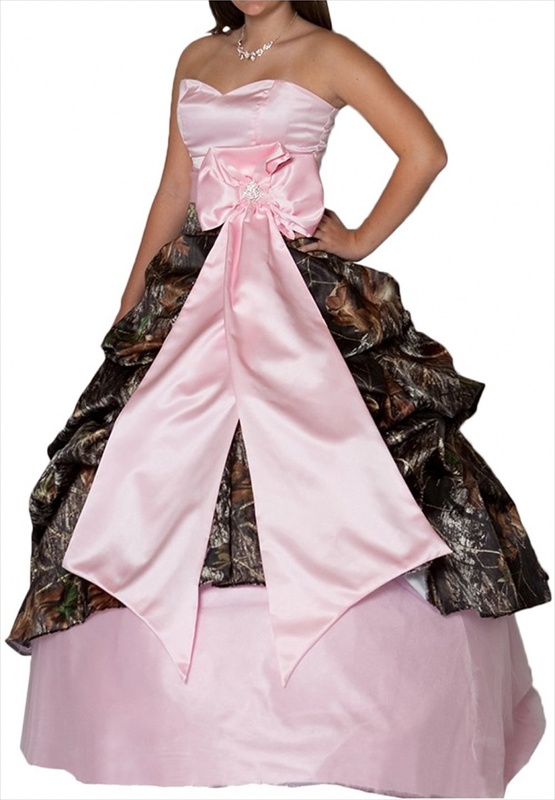 There are various combinations and designs in camo dresses to choose from. 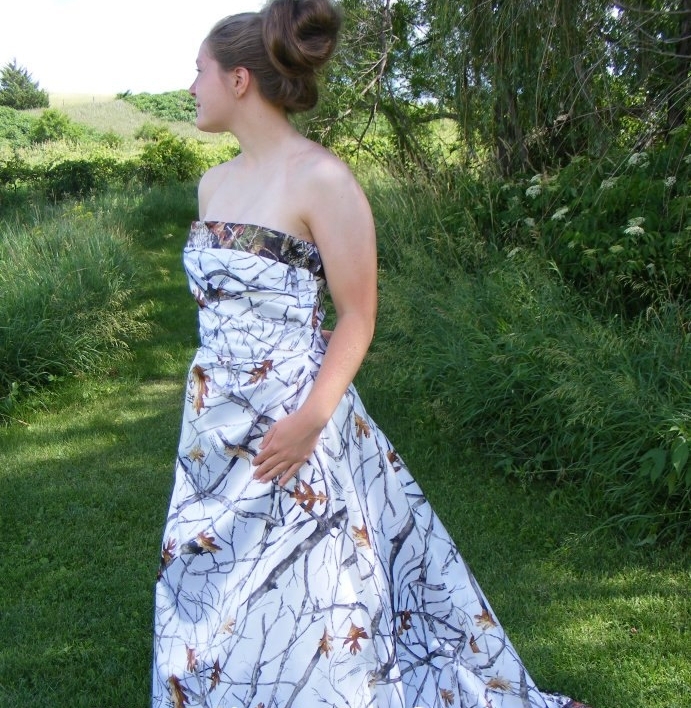 Ladies1 choose a Camo wedding dress to look unique and trendy! Red is a very romantic and dramatic color. 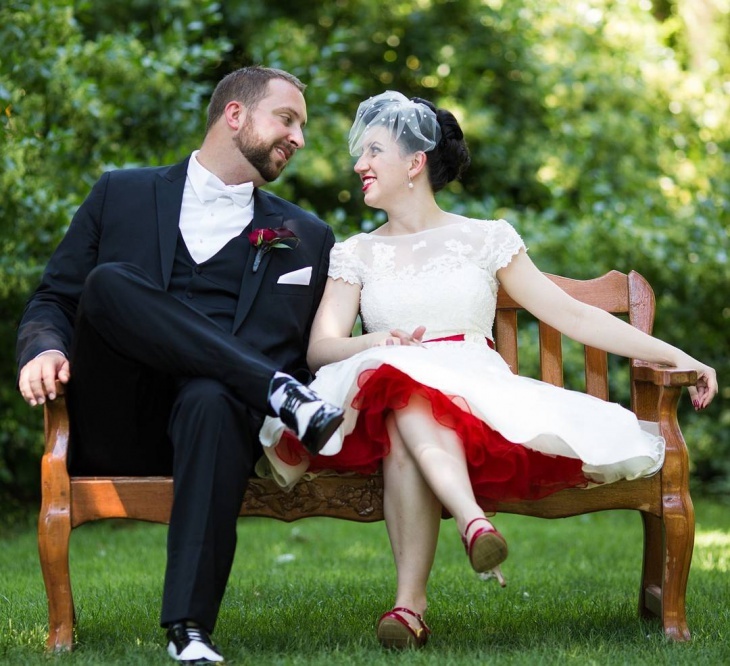 Red wedding dresses are loved by many women as they add color and brightness to them. There is a wide range of wedding dresses in red designed in various fabrics such as satin, taffeta, lace etc. The dresses come in designs such as sweetheart neckline, mermaid skirt with fitted bodice. These wedding dresses also come with interesting applique works and embroidery with contrast colors which make them very interesting. Winter is a season where lots of experimentation can be done related to clothing and wedding dresses. 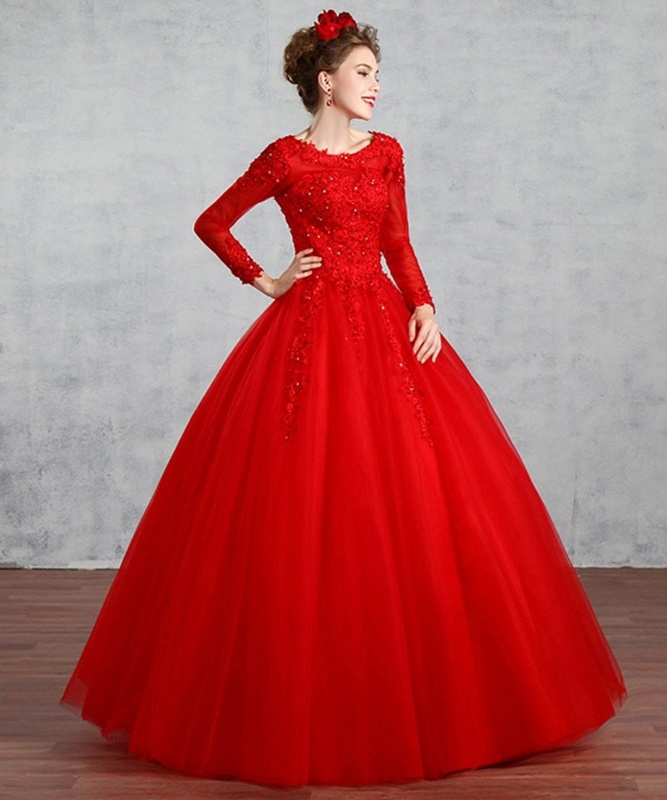 Wedding dresses with Heavy layers and designs, Tulle dresses with the traditional puffy design, the ball gowns designed with satin silks are best suitable for winter weddings. Lots of variations in colors such as red can also be chosen for winter weddings which add color and warmth to the occasion. Strapless wedding dresses are the most preferred wedding dress designs. These wedding dresses have a sweetheart neckline with a bow on the waistline, a sweetheart neckline with A-line short or long skirt etc. 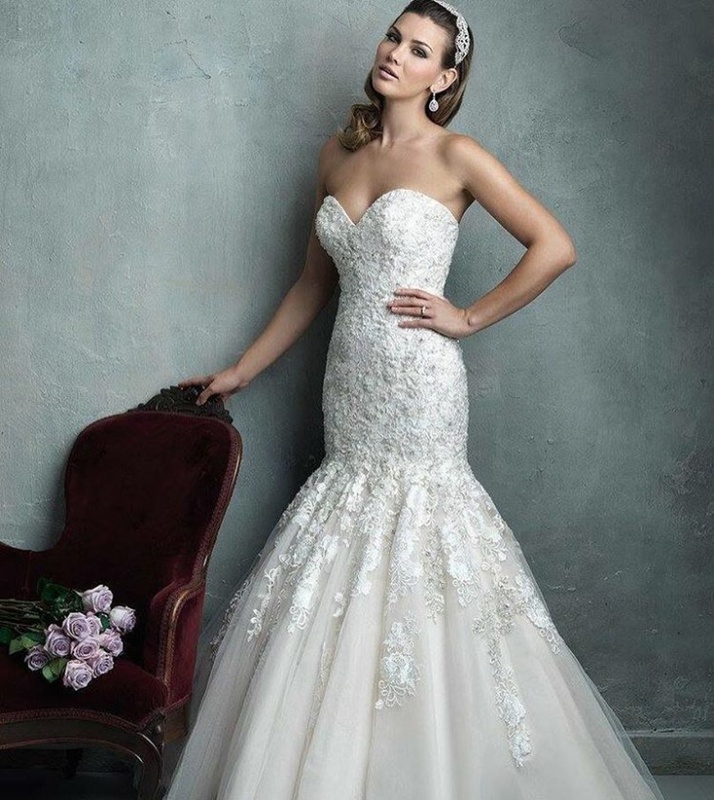 As the strapless dresses have a unique charm, they are the most preferred wedding dress designs by many women. 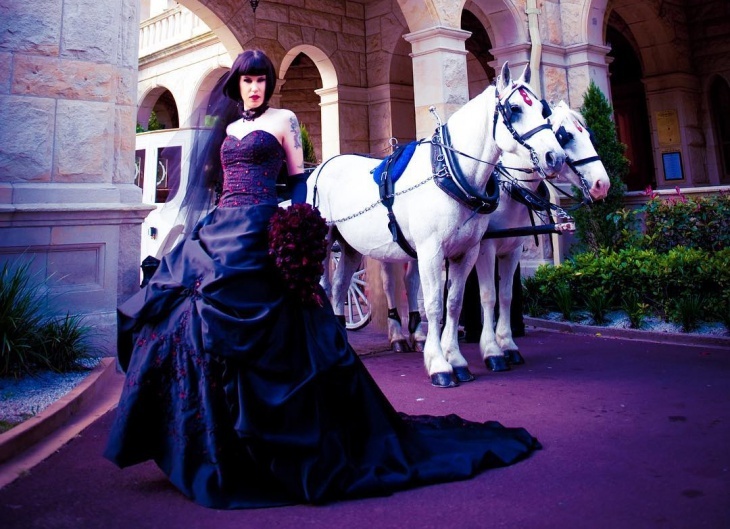 Gothic wedding dresses are unique in color and design. They are normally designed in black, a combination of white and black or red colors. The dresses have a vintage look to them. They are designed with lots of layerings and embroidery to give them a special look. 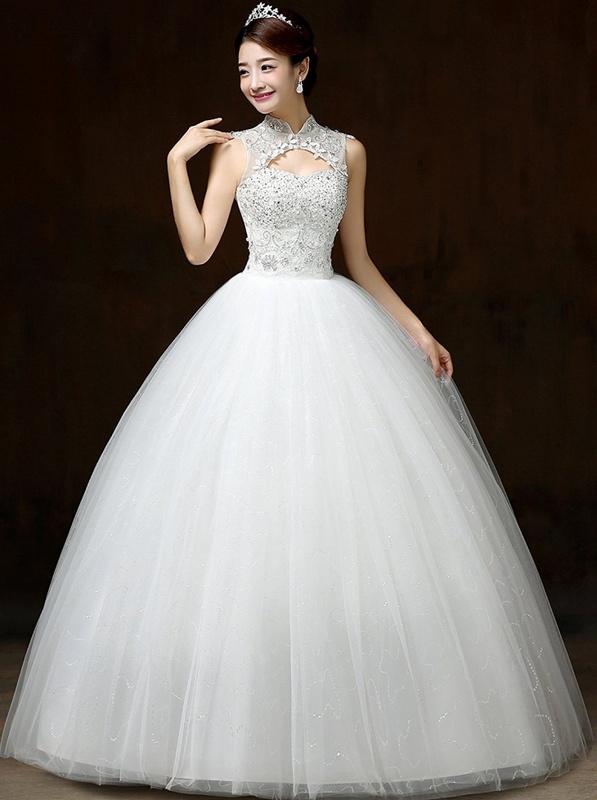 Tulle wedding dresses are traditional wedding dresses with ballgown design. The huge puffy design of the skirt is loved many women. 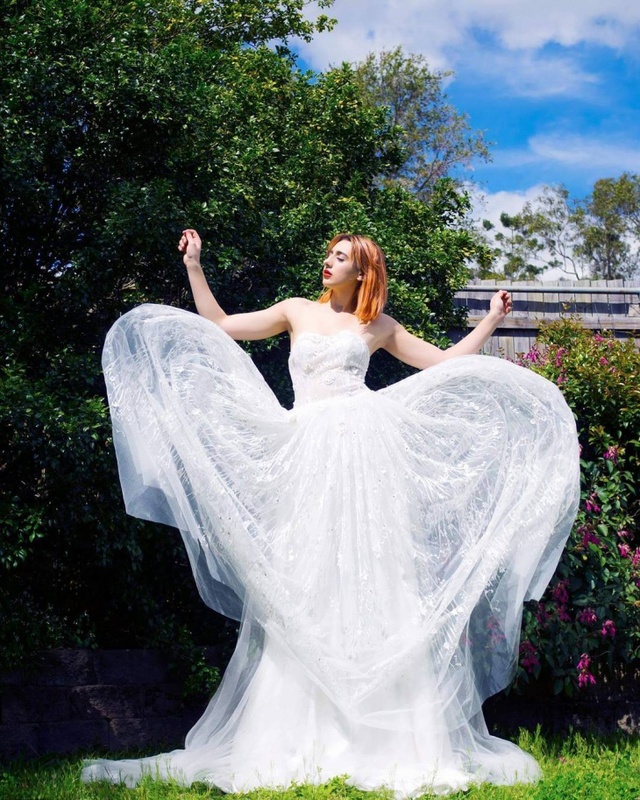 Now there are lots of variations in tulle wedding dresses from a single layer dresses to a light weight ball gown designs which are comfortable for the bride and make them look ethereal. Wedding dresses are always a personal choice of the bride. 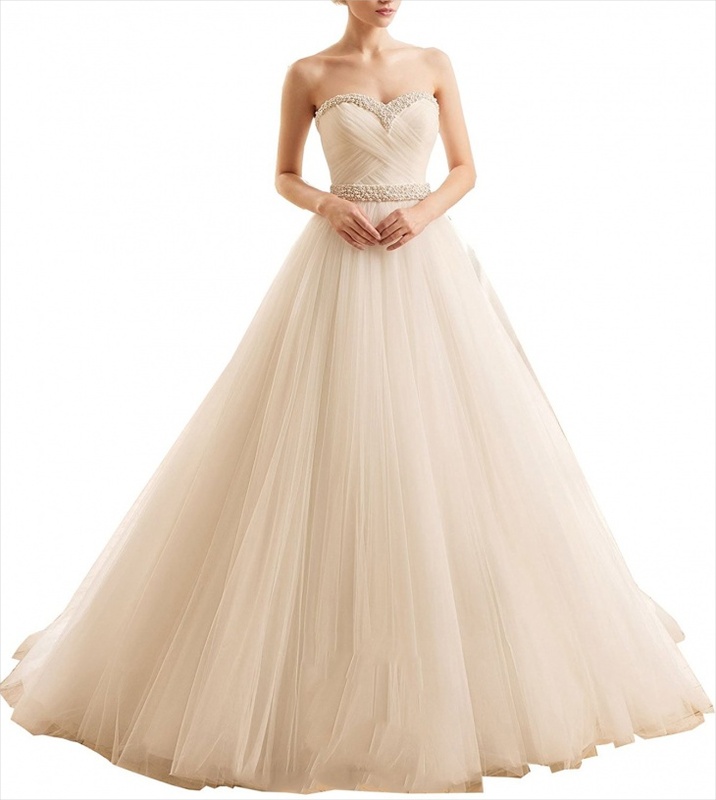 Many women prefer chiffon wedding dresses are they are light, flowy and elegant. The specialty of these dresses is that they give a tall and slender look to the bride which makes them a favorite among many brides. Getting ready for the party night after the big wedding day is fun and exciting for every bride. 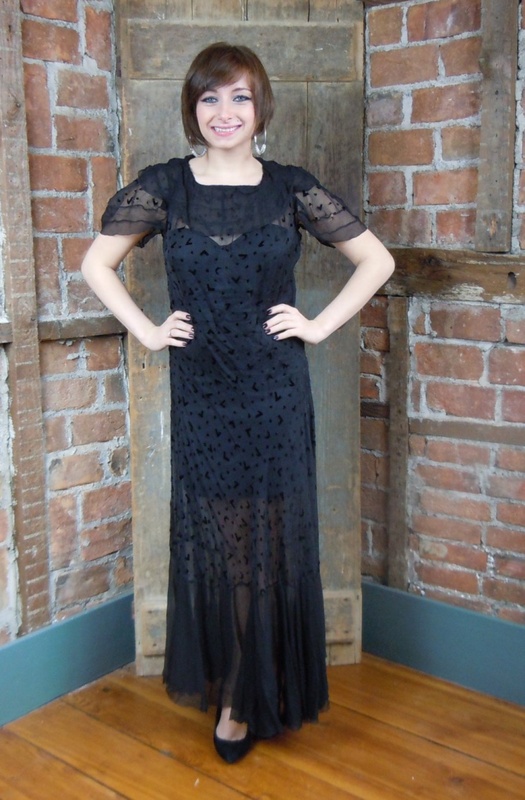 There are lots of reception dresses from short romantic dresses, long luxurious chiffon dresses, sleek silhouette dresses. Brides! Look your best by choosing from a wide of wedding reception dresses. 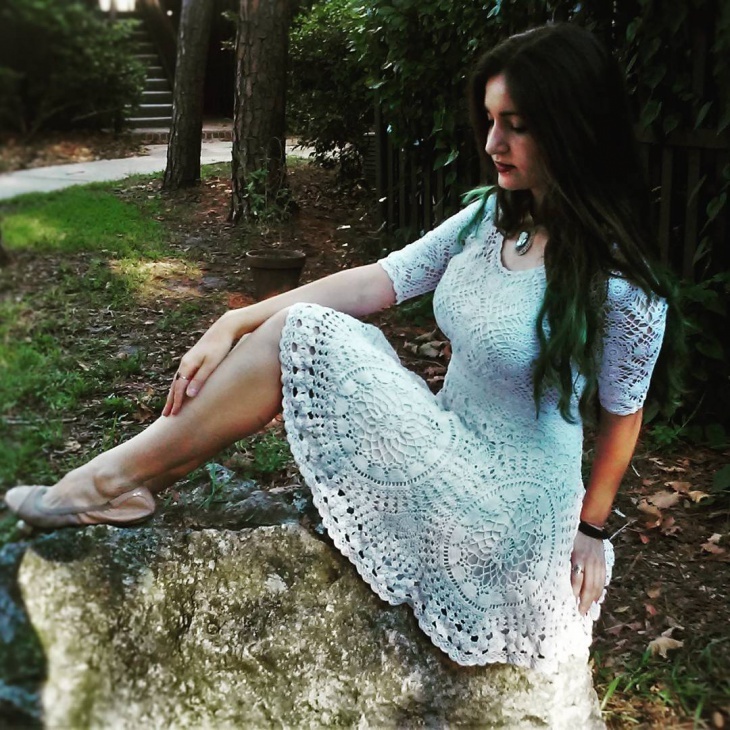 Crochet wedding dresses are preferred by many as they have a vintage look and most of them are handmade. 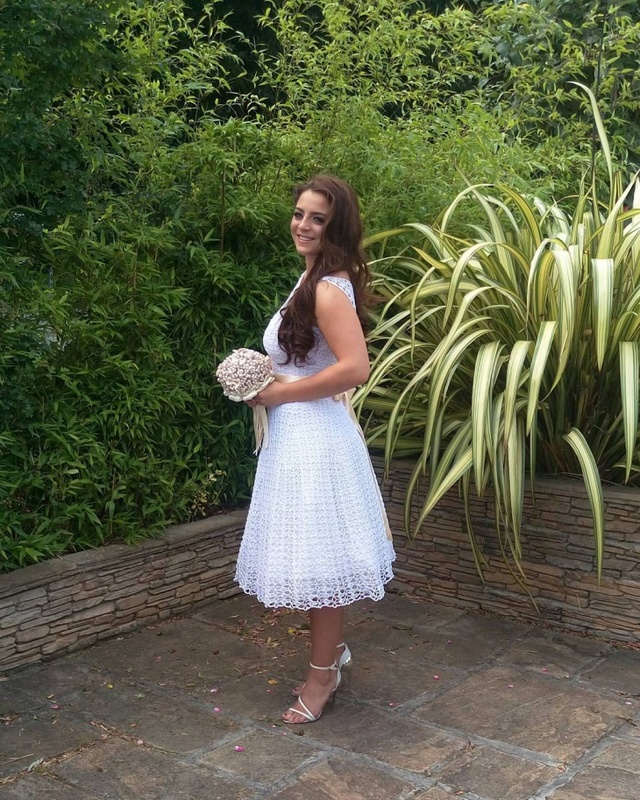 The elegant and stylish crochet wedding dresses make any bride look sophisticated and beautiful. Bling wedding dresses are designed with lots of stone and bead work on the yoke, bodice or the entire dress. The bling adds a special touch to the wedding dress and makes it look special. Silk is a beautiful fabric which gives a special touch to the wedding dress. There are lots variations in silk from champagne silk, chiffon silk, organza silk, satin silk etc. The wedding gowns are designed in customized sizes to make the bride the most beautiful woman on her wedding day. 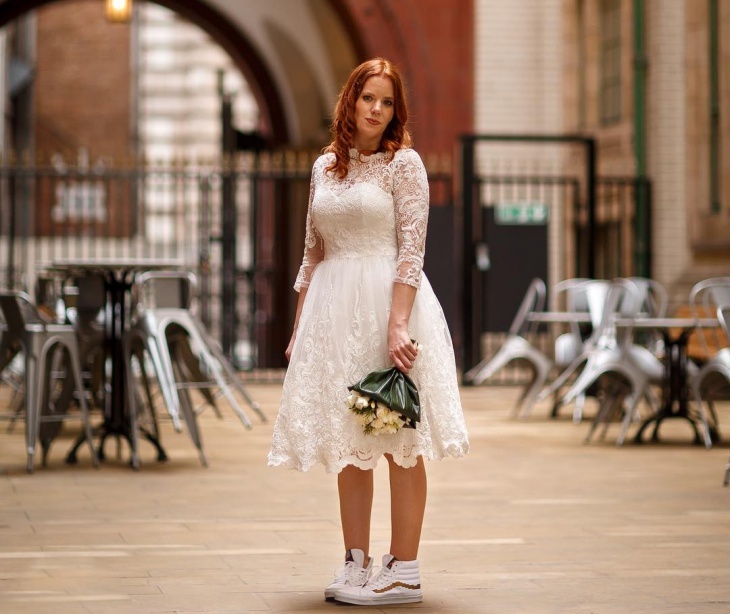 Brides who want to try something new and offbeat can choose the floral wedding dresses. They are very trendy and widely popular. 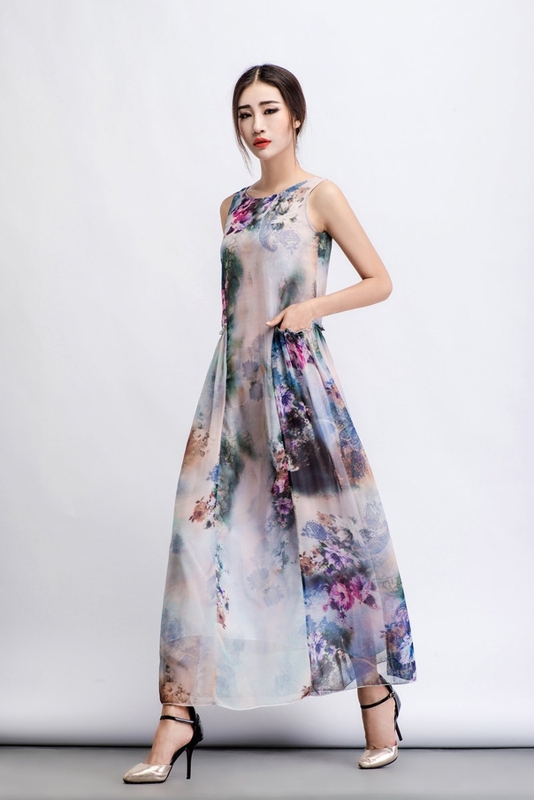 The variety of floral prints from watercolor prints, abstract prints to traditional floral designs are used to design the wedding dresses. They have a refreshing look and sure will make the bride a showstopper. Long wedding dresses are the most preferred dresses for weddings. They have a traditional and romantic touch which makes them the most sought after wedding dress designs. There are lots of variations in long wedding dress designs in fabrics, necklines, sleeves and fitting to choose from. They suit everyone and gives them the unique ‘Bride look’. Sheer wedding dresses are very trendy as they come with a sheer bodice, with thin delicate lace which is done with applique work. The intricate and delicate work which is mostly handmade make them very special wedding dresses. The wedding dresses being special for every woman, they are designed carefully with lots of creativity. the wedding dresses are custom made for the bride to give her the best fittings on her big day. The variations in color, fabric and fittings make wedding dresses a fairy tale affair.